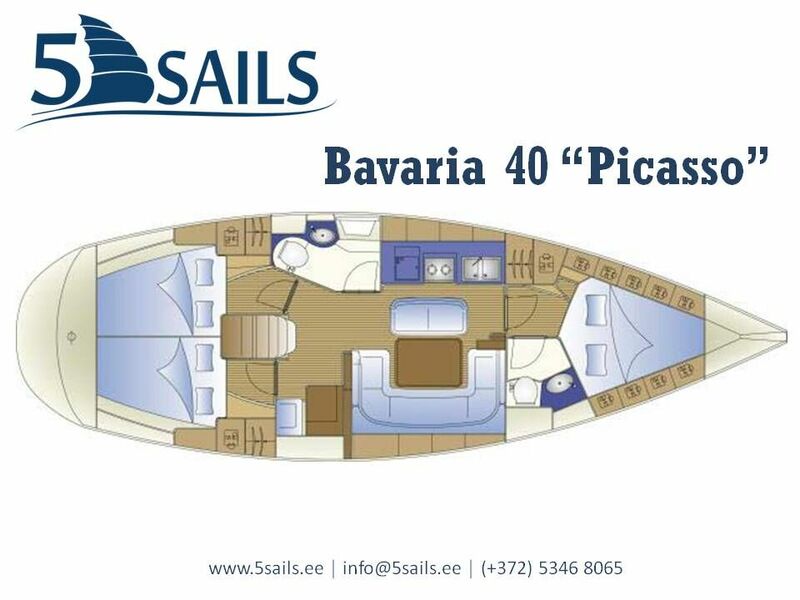 Bavaria 40 “PICASSO” is the middle-size sailing yacht. She is 12m long and 4m wide and can accommodate up to 12 people. 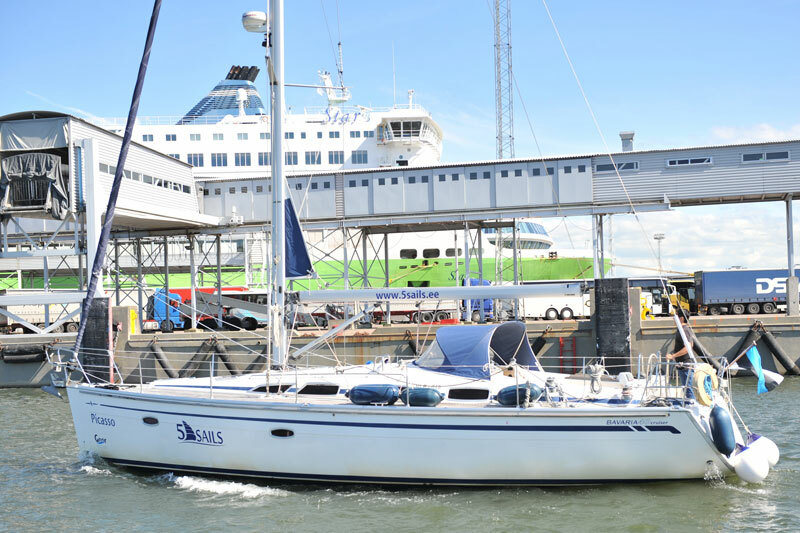 Stylish interior and wooden deck make her perfect for photoshoots and smaller parties. There are three bedrooms, spacious saloon with galley corner, two WC-s and showers. Galley is equipped with everything needed for a comfortable stay: refrigerator, gas oven and stove, kitchenware and cutlery. You can listen to your favorite songs by connecting your device to the boat’s audiosystem.